The Thanksgiving shopping weekend has officially become the biggest social media event of the year, garnering more discussion on Facebook and Instagram than even the most recent Super Bowl. According to an email from Facebook to Social Pro Daily, more than 130 million people talked about Black Friday, Small Business Saturday, and Cyber Monday this year. Facebook alone generated more than 226 million interactions from 90 million people about the Thanksgiving shopping weekend, while 52 million talked about the deals and shopping experience on Instagram. Surprisingly, Black Friday and Cyber Monday weren’t the biggest days of the weekend on social media. Despite being considered the smaller event of the holiday, mentions of Small Business Saturday actually surpassed mentions of Cyber Monday. The day devoted to local small businesses also created two of the top hashtags on Instagram with “ShopSmall and #ShopLocal. There were more than 450 million views over the weekend on Facebook of videos related to Black Friday and similar topics. Black Friday conversation on Facebook and Instagram was driven by women between 35 and 54. Men between 18 and 34 were more likely to discuss Cyber Monday. More than one-third of Instagram business profiles posted Instagram Stories during the holiday weekend. The top five shopping-related hashtags on Facebook and Instagram over the weekend were: #BlackFriday, #CyberMonday, #SmallBusinessSaturday, #ShopSmall and #ShopLocal. The three most engaged states on Facebook were Kentucky, Indiana, and Tennessee. Every small business person knows there is no marketing quite as powerful as word-of-mouth. No matter what you promise in your ads, it won’t pack quite the punch as a positive, well-written review for your business. But, what if you could turn your positive reviews into your ads? With the help of Google’s #SmallThanks Hub, you can no do just that. 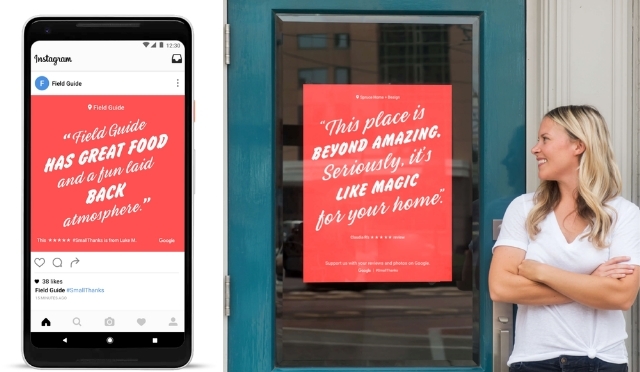 The new online resource aims to help small businesses create top-quality digital and printed marketing materials based on your Google reviews. 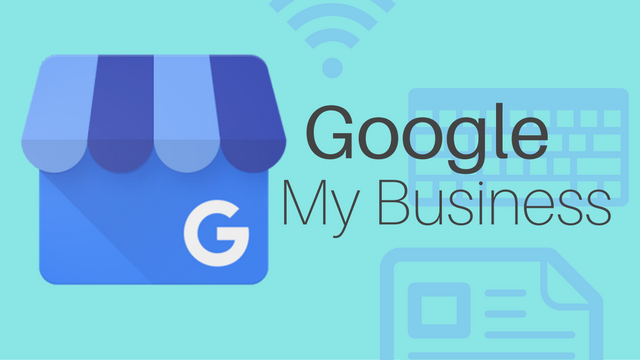 The new resource is available to all US businesses with a verified Google listing with an address. “Reviews from your fans are like digital thank you notes, and they’re one of the first things people notice about your business in search results,” writes Gevelber in the announcement. In the post, Google also highlighted data indicating that up to 71% of consumers say positive reviews in search results make them more likely to visit that business and that business listings boasting positive reviews receive up to a 360% increase in click-throughs to their website. As part of the launch of the #SmallThanks Hub, Google also included a few tips for small businesses. 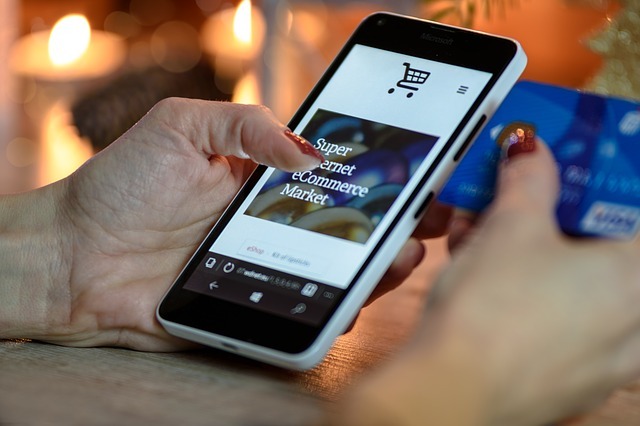 These include keeping your Google listings up to date, encouraging customers to share reviews online, and posting “Find us on Google” stickers in their store and across social media. As Google has continuously demoted their organic listings for search results, local SEO has risen in prominence. Instead of aiming for the top search spot, more and more businesses are prioritizing claiming the top place in Google’s local search results – which typically appear before any organic listings. Of course, getting the top spot in the local results isn’t much easier than typical SEO work. However, it is a bit different. Google prioritizes different search signals to make sure they are delivering the most valuable businesses for your searches. 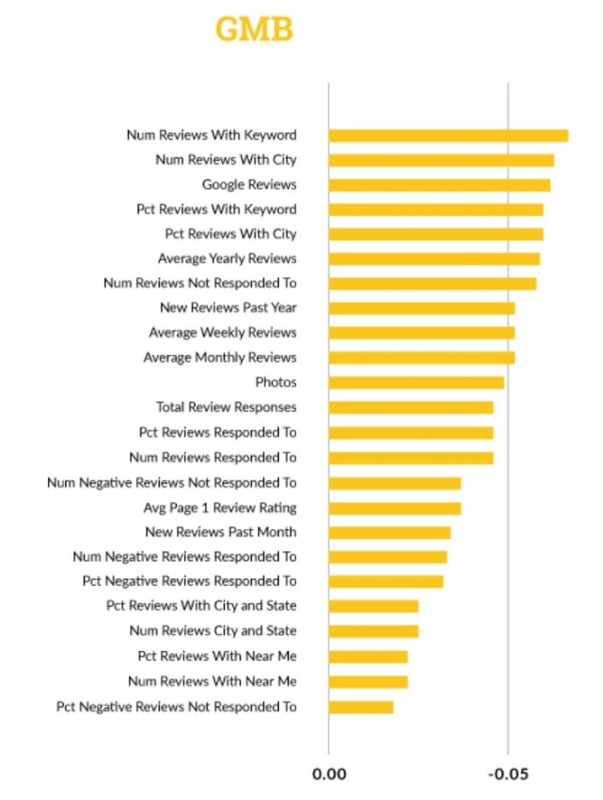 To figure out exactly what search signals matter to Google the most when sorting local results, LocalSEO Guide recently completed an in-depth review of over 200 ranking factors and 100,000 local businesses across 150 cities. What they found shows that while organic ranking factors like links, keywords, and anchor text are important, rankings reign supreme in local search. Elsewhere, the report suggests that traditional SEO factors such as links and on-site optimization still play a significant role in rankings. However, some off-page signals like citations and reviews on third-party sites, are declining in relevance compared to past research. The full report details more findings and statistics to indicate exactly how those who are crushing local search are doing it. However, it is important to note that these types of studies are based entirely on correlation. We can’t say for sure exactly how Google’s systems rank local results – partially because they won’t tell and partially because they are always changing. It is official. After over a year experimenting with various types of longer tweets, Twitter is finally letting everyone tweet with 280-characters at a time. The double-sized tweets are rolling out as the default length limit for users around the world, except Japan and Korea. The iconic 140-character limit will be phased out, although Twitter suggests the change won’t affect most tweets. Twitter also noted that “historically, 9% of tweets in English hit the character limit.” With the new extended length, that number has dropped to only 1% of tweets. Of course, some on the platform seem to be outraged by the break in tradition. Most, including celebrities, are celebrating the longer tweets with jokes and pointlessly long tweets for fun.